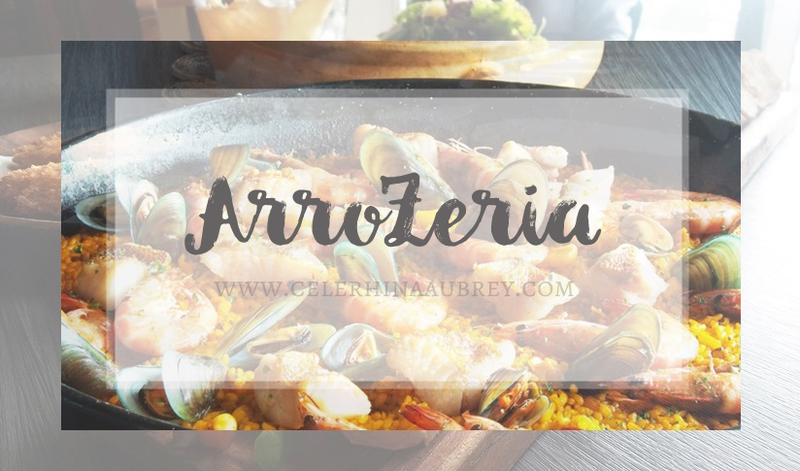 ArroZeria in Century City Mall has been making buzz in foodie haven lately. Serving authentic Spanish cuisine, where rice is definitely a must-have – no wonder everybody wanna try them. Their awesome industrial interiors and open kitchen surely gave that homey vibe. I love that they have wide windows that allow natural light. I wasn’t able to take a photo but their lightings are so cute. Taking foodstagrams are so much better here. I love this corner nook. That beautiful, what is it? Chandelier? Piece of artwork? Centerpiece? Whatever! I just love it. Here are some of the dishes we tried and my thoughts on each. Let’s do photoblogging now. This appetizer is a sure hit to everyone. It has campagne, cochinillo & mushrooms, chicken pistachio & seafood terrine; with black olive, parsley and porcini mashroom mayonnaise dips. My favorite is definitely the chicken pistachio with black olive dip. Yum! But everything else are all yummy as well. This is another personal favorite. Beef and pork meatballs with button mushroom sauce and potatoes. Every bite is pure delight! Deep fried angus ox lounge coated in bechamel with tartar sauce dip. Sounds heaven! When we saw this, we really wanna try it out immediately. Such a unique dish (at least for me). I just find it a bit bland though. The tartar sauce doesn’t seem to compliment the lengua. I can’t really pinpoint what’s missing. But yeah, I find it a bit bland. Maybe some cheese would do the trick? Or a more salty dip? This is rice with egg crust topped with chorizo and shrimp. I love this dish. Specifically the part with lotsa eggs. The chorizo is nice contrast to the egg crust and the shrimp is just divine. I am not a big fan of beetroot. Though the green asparagus is love, I could till taste that beetroot aftertaste so I am not a fan of this dish. My fellow foodies find it yummers though. And of course the stars of the show – PAELLA! You could have it al dente and thin or soft and wet. I think I love my Paella al dente but not too dry. Hahaha! Weird. I find this bland too but apparently, this is the authentic Spanish-style cooking. My taste buds are not Spanish-ready, me thinks. But the generous serving and toppings are worth every penny.